Introduction: The game of Chess has been around for more than a century and is played on a chessboard that has 64 squares broken into a 8 by 8 grid. Chess is a mind sport that is played between two players or between a player and a computer. Chess is played throughout the world and has there is a push for Chess to be made a part of the 2020 Olympic Games in Tokyo. There are a number of international Chess tournaments played throughout the year and are attended by players from all over the world. Some of the featured tournaments include the Tata Chess Steel Masters, World Chess Championship, European Individual Chess Championship, Chess World Cup, Zurich Chess Challenge, London Chess Class and the Grand Slam Masters Final. The World Chess Federation (FIDE) governs the game of chess internationally and tournaments are held for both men and women. There are usually three formats followed to determine an eventual winner – round robin style, elimination style or the Swiss system style. The duration of a chess match can be anywhere between 20 minutes to 4 to 5 hours. Canada Chess Betting: Chess along with bridge are two of the most popular board games in Canada and thousands of Canadians make wagers on chess betting websites such as Betfair, Bet365, William Hill, Paddy Power and 888 Sports. These sports betting websites offer their services online and via mobile apps that are suitable for both Android and iOS users. Some of the different types of chess bets include outright winner, draw and the championship winner. Most sports betting websites cover only the top chess tournaments in the world and hence there are extended periods of time where there are no chess betting matches featured on these websites. 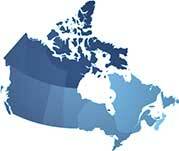 Chess in Canada: The Chess Federation of Canada (CFC) is the regulatory body for Chess in Canada and is affiliated with FIDE. Every July, the CFC organizes a Canadian Open Chess tournament which sees the best chess players in Canada compete to win the prestigious title. The CFC follows the ELO rating system to rank the top players in the country. This is an advanced ranking system that is around 50 points higher than the US Chess Federation rankings and 90 points higher than FIDE rankings. The current chess champion for the men’s division in Canada is Bator Sambuev while Natalia Khoudgarian is the women’s champion. CFC also focuses on promoting and educating Canadians about the game of chess and has runs a junior chess championship for players under the age of 18. Richard Wang is the current U18 champion. You are not going to be able to place a Chess related bet every day of the week, for this is something of a specialist type of sport, and Chess tournaments are few and far between, however if and when the next tournament is up and running then several of our featured betting sites will be offering betting markets, and as such if you are fanatical about the sport, or simply have your eye on one particular player, then you will be able to put your money down, in the hope that your chosen player wins the title! Playing Chess in a tournament fashion is not a particularly new sporting event, for they have been taking place regularly for over one hundred years, with the first recorded one taking place in 1851 in London! Which Chess Stats Should I Rely on? What are the Best Bets to Make? Which Rules Should I Look Out for? What’s the Best Chess Betting Strategy? What Events to Bet on? The actual governing body of Chess is the World Chess Federation, and it is those tournaments and competitions that are organised by the WCF that are the ones on which the most money is wagered. 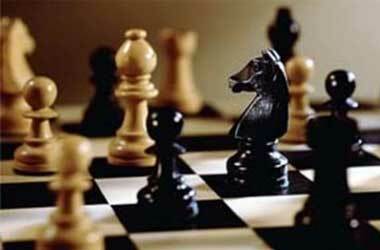 The biggest and most bet on events in the Chess playing calendar are the Linares Chess Tournament, the Tata Steel Chess Tournament and the biggest and most prestigious Chess playing event is the mighty Chess Olympiad, which is the one tournament every serious Chess player is hoping to win if not take part in! As Chess is played in a knockout type tournament format, then there are quite a few different wagers that you are able to place, with the most popular one being a bet on which player is going to win any tournament outright, if you are considering placing such a wager, then as always the earlier you place these kinds of outright winner bets the bigger the actual odds will be. For when the Chess Tournaments get under way the odds on who is going to lift the title and win the tournament will be changing all the time as more and more players are knocked out and eliminated. You can also place a heads up type of wager and this is where you will be tasked with picking the winner of any one round of play in the tournament. The odds on the heads up types of wagers can often be small due to there being just two players to be on, and with one of them being favourite to win that round these odds can often be rather restrictive and poor value, however do shop around as the odds on offer can and will change depending on where it is you are placing such a wager, so some value could be found. If you do enjoy watching the sport of Chess and wish to get a little wager in place on any up and coming Chess tournament or Chess playing competition, then we are happy to showcase to you the following top rated Canadian betting site, and as you can see they all offer something unique to new players singing up to and betting at their respective sites for the very first time! William Hill – You will not only be given a very warm welcome if you opt to bet at the impressive and state of the art William Hill betting site, but as a brand new real money betting customer you can avail yourself of their generous CAD25 free bet bonus offer. Betway – Another online betting site which is going to offer you everything you could possibly want or need, including fast payments of winnings, great odds and of course a free bet bonus, which is worth C$50 in free bets is the Betway betting site, give their website a visit to find out what they have on offer, we just know that you will be impressed by what you find when you do just that! Betdaq – It will often be an eye opener for sports bettors when they open up an account at betting exchanges such as the one on offer at the Betdaq Betting site. For you can bet on selections to not only win a sporting fixture but you can also lay them to lose, visit their website today for details of how you can swell you betting account with up to a large CAD200 in free bets. It is true to say the actual betting markets that will be on offer to you if you want to place bets on Chess are going to be somewhat limited, however what is not limited is the number of free bets and special bonuses that you will be able to claim as a new customer of any betting sites. 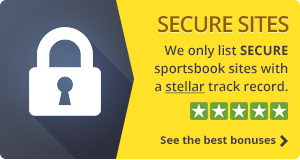 Be aware as always that all of the special offers listed above which are available from our top rated betting sites, are subject to change at any time. The Elo rating system was specifically designed to rate the skill levels of different players in competitive games, and is also often applied in other sports as well, apart from chess. The World Chess Federation (FIDE) relies on the Elo for their FIDE rating scale, which is your starting point of reference when betting. Previous head to head records between two players can also be used as well as any recent information about psychological stamina and preparation. In chess, concentration is vital for winning, which is why recent performances are important when comparing players. One of the most profitable bets for beginner Canadian bettors it the tournament outright winners, especially since odds vary wildly from beginning to start, allowing for a bigger profit margin if you get in on the action at an early stage. Other than that, the match bet or heads up bet is the safest and simplest bet to make, although you won’t turn a big profit as the odds will be reflective of the players’ strengths. However, even in these cases there have been turning points, although rare. Most betting sites don’t introduce many special rules for chess and use the same general betting rules. However, there is still some fine print you should keep an eye out for. For example, moves in chess betting are considered played as long as the “white” player has finished. Also, in the case of a match finishing with the same number of points, the winner will be determined by the tournament’s body, or in the case of a match re-scheduling or incompletion, all bets will be void, unless otherwise stated. Chess betting is simpler than other sports, in terms of the number of players you have to keep track of and the interaction between them. Thus, the best chess playing strategy would be one that is backed up by relevant information like the Elo rating, historical head to head records, or even the openings and defense tactic of players, if you understand the game more. Being backed up by data as well as having a predetermined spending plan is one of the best ways to play smartly, instead of just placing haphazard bets. While chess is one of the most widely played sports in the world, there’s little choice when it comes to betting. Naturally, the biggest betting events are the major league tournaments, as opposed to lesser known or local games. The World Chess Championship is the key event, where the former champion gets to play 12 matches against a challenger for a number of weeks. There’s also the Candidate Tournaments prior to the championship, which are a more diverse market. And if you’re looking for even more diversity, you can bet on the Chess Olympiad, which is the biggest international event with both men and women players.